The NEC SV8000 Systems Series Communications Server is one of the best selling small and medium business (SMB) solutions in today’s marketplace. NEC SV8000 Systems feature-rich solution supports pure peer-to-peer IP telephony connectivity, advanced networking, traditional digital switching, or a combination – all from one solution. NEC SV8000 Systems includes the SV8100, SV8300, and SV8500 with growth to more than 6,000 extensions. With growth to over 700 ports, the SV8100 is perfectly suited for small and medium sized businesses that require large business capabilities such as T1’s, Voicemail to Email, Automatic Call Distribution, Mobile Extension, Automated Attendant, and more. Additionally, the NEC SV8000 Systems offers capabilities such as built-in Caller ID and built-in 2-port auto attendant that are ideal for small offices. 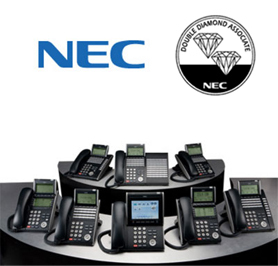 Learn More about NEC SV8000 Systems and NEC phone systems.